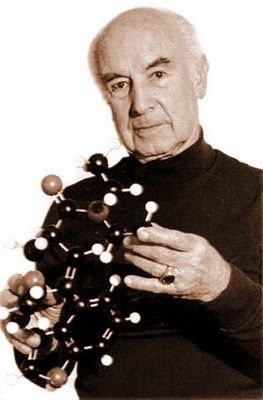 Foreward to 'LSD My Problem Child' by Dr. Albert Hofmann ! There are experiences that most of us are hesitant to speak about, because they do not conform to everyday reality and defy rational explanation. These are not particular external occurrences, but rather events of our inner lives, which are generally dismissed as figments of the imagination and barred from our memory. Suddenly, the familiar view of our surroundings is transformed in a strange, delightful, or alarming way: it appears to us in a new light, takes on a special meaning. Such an experience can be as light and fleeting as a breath of air, or it can imprint itself deeply upon our minds. One enchantment of that kind, which I experienced in childhood, has remained remarkably vivid in my memory ever since. It happened on a May morning—I have forgotten the year—but I can still point to the exact spot where it occurred, on a forest path on Martinsberg above Baden, Switzerland. As I strolled through the freshly greened woods filled with bird song and lit up by the morning sun, all at once everything appeared in an uncommonly clear light. Was this something I had simply failed to notice before? Was I suddenly discovering the spring forest as it actually looked? It shone with the most beautiful radiance, speaking to the heart, as though it wanted to encompass me in its majesty. I was filled with an indescribable sensation of joy, oneness, and blissful security. I have no idea how long I stood there spellbound. But I recall the anxious concern I felt as the radiance slowly dissolved and I hiked on: how could a vision that was so real and convincing, so directly and deeply felt—how could it end so soon? And how could I tell anyone about it, as my overflowing joy compelled me to do, since I knew there were no words to describe what I had seen? It seemed strange that I, as a child, had seen something so marvelous, something that adults obviously did not perceive - for I had never heard them mention it. While still a child, I experienced several more of these deeply euphoric moments on my rambles through forest and meadow. It was these experiences that shaped the main outlines of my world view and convinced me of the existence of a miraculous, powerful, unfathomable reality that was hidden from everyday sight. I was often troubled in those days, wondering if I would ever, as an adult, be able to communicate these experiences; whether I would have the chance to depict my visions in poetry or paintings. But knowing that I was not cut out to be a poet or artist, I assumed I would have to keep these experiences to myself, important as they were to me. Unexpectedly—though scarcely by chance—much later, in middle age, a link was established between my profession and these visionary experiences from childhood. Because I wanted to gain insight into the structure and essence of matter, I became a research chemist. Intrigued by the plant world since early childhood, I chose to specialize in research on the constituents of medicinal plants. In the course of this career I was led to the psychoactive, hallucination-causing substances, which under certain conditions can evoke visionary states similar to the spontaneous experiences just described. The most important of these hallucinogenic substances has come to be known as LSD. Hallucinogens, as active compounds of considerable scientific interest, have gained entry into medicinal research, biology, and psychiatry, and later—especially LSD also obtained wide diffusion in the drug culture. In studying the literature connected with my work, I became aware of the great universal significance of visionary experience. It plays a dominant role, not only in mysticism and the history of religion, but also in the creative process in art, literature, and science. More recent investigations have shown that many persons also have visionary experiences in daily life, though most of us fail to recognize their meaning and value. Mystical experiences, like those that marked my childhood, are apparently far from rare. There is today a widespread striving for mystical experience, for visionary breakthroughs to a deeper, more comprehensive reality than that perceived by our rational, everyday consciousness. Efforts to transcend our materialistic world view are being made in various ways, not only by the adherents to Eastern religious movements, but also by professional psychiatrists, who are adopting such profound spiritual experiences as a basic therapeutic principle. I share the belief of many of my contemporaries that the spiritual crisis pervading all spheres of Western industrial society can be remedied only by a change in our world view. We shall have to shift from the materialistic, dualistic belief that people and their environment are separate, toward a new consciousness of an all-encompassing reality, which embraces the experiencing ego, a reality in which people feel their oneness with animate nature and all of creation. Everything that can contribute to such a fundamental alteration in our perception of reality must therefore command earnest attention. Foremost among such approaches are the various methods of meditation, either in a religious or a secular context, which aim to deepen the consciousness of reality by way of a total mystical experience. Another important, but still controversial, path to the same goal is the use of the consciousness-altering properties of hallucinogenic psychopharmaceuticals. LSD finds such an application in medicine, by helping patients in psychoanalysis and psychotherapy to perceive their problems in their true significance. Deliberate provocation of mystical experience, particularly by LSD and related hallucinogens, in contrast to spontaneous visionary experiences, entails dangers that must not be underestimated. Practitioners must take into account the peculiar effects of these substances, namely their ability to influence our consciousness, the innermost essence of our being. 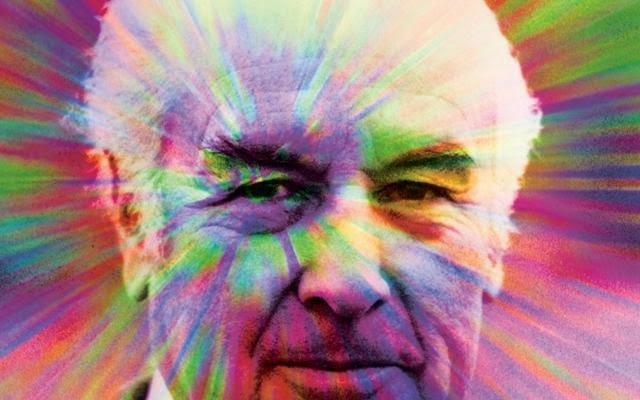 The history of LSD to date amply demonstrates the catastrophic consequences that can ensue when its profound effect is misjudged and the substance is mistaken for a pleasure drug. Special internal and external advance preparations are required; with them, an LSD experiment can become a meaningful experience. Wrong and inappropriate use has caused LSD to become my problem child. It is my desire in this book to give a comprehensive picture of LSD, its origin, its effects, and its dangers, in order to guard against increasing abuse of this extraordinary drug. I hope thereby to emphasize possible uses of LSD that are compatible with its characteristic action. I believe that if people would learn to use LSD's vision-inducing capability more wisely, under suitable conditions, in medical practice and in conjunction with meditation, then in the future this problem child could become a wonder child.